Global - Pasta tongs GS- 67 Pasta tongs have a special shape to handle any type of pasta, small or large. Global GS series includes small and medium-sized Japanese kitchen knives for general use. The handle is well-balanced with an original triangular shape. In addition, this series includes kitchen utensils as a complement to prepare any dish, chopsticks to eat as the traditional Japanese way and skewers to get a perfectly decorated dish. Made of Cromova 18, a high quality stainless steel designed designed exclusively for Global knives and utensils. It contains a 18% of Chromium, that contributes to stain resistance, and also molybdenum and vanadium, to improve edge retention. Ergonomic handle, with black dots. We recommend that you wash the Global products by hand with dishwashing liquid and warm water, and then rinse and dry the utensil with a towel immediately. It is very important not to use the dishwasher with the Global products, in order to protect the steel and to avoid exposure to extreme heat and powerful detergents. Made in Japan. 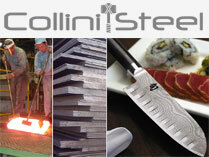 Global, a Japanese knife-maker based in Seki (Japan), famous for its high quality products since 1985. Each knife is weighted to guarantee a perfect balance, like Samurai swords in the past. A lot of well-known chefs use Global knives and they are used on TV cookery programmes. Global - Utility tongs GS-65 Utility tongs are used to serve any type of food. This tool has an ergonomic handle and special shape to not break the food. Global GS series includes small and medium-sized Japanese kitchen knives for general use. The handle is well-balanced with an original triangular shape. In addition, this series includes kitchen utensils as a complement to prepare any dish, chopsticks to eat as the traditional Japanese way and skewers to get a perfectly decorated dish. Made of Cromova 18, a high quality stainless steel designed designed exclusively for Global knives and utensils. It contains a 18% of Chromium, that contributes to stain resistance, and also molybdenum and vanadium, to improve edge retention. Ergonomic handle, with black dots. We recommend that you wash the Global products by hand with dishwashing liquid and warm water, and then rinse and dry the utensil with a towel immediately. It is very important not to use the dishwasher with the Global products, in order to protect the steel and to avoid exposure to extreme heat and powerful detergents. Made in Japan. Global, a Japanese knife-maker based in Seki (Japan), famous for its high quality products since 1985. Each knife is weighted to guarantee a perfect balance, like Samurai swords in the past. A lot of well-known chefs use Global knives and they are used on TV cookery programmes. The best way to serve your cookies to your guests. This tool has an ergonomic handle and special shape to not break the cookies. Global GS series includes small and medium-sized Japanese kitchen knives for general use. The handle is well-balanced with an original triangular shape. In addition, this series includes kitchen utensils as a complement to prepare any dish, chopsticks to eat as the traditional Japanese way and skewers to get a perfectly decorated dish. Made of Cromova 18, a high quality stainless steel designed designed exclusively for Global knives and utensils. It contains a 18% of Chromium, that contributes to stain resistance, and also molybdenum and vanadium, to improve edge retention. Ergonomic handle, with black dots. We recommend that you wash the Global products by hand with dishwashing liquid and warm water, and then rinse and dry the utensil with a towel immediately. It is very important not to use the dishwasher with the Global products, in order to protect the steel and to avoid exposure to extreme heat and powerful detergents. Made in Japan. Global, a Japanese knife-maker based in Seki (Japan), famous for its high quality products since 1985. Each knife is weighted to guarantee a perfect balance, like Samurai swords in the past. A lot of well-known chefs use Global knives and they are used on TV cookery programmes. All-purpose serving tongs for appetizers, salad, fruit, vegetables and pastries. Mercer Culinary M35154 8 Piece Precision Plus Plating Tongs Set Use the Mercer Culinary M35154 8 piece precision plus plating tongs set to elevate your food presentation! Included are 7 tongs to give you maximum versatility in your upscale establishment. Made of sturdy 18/8 stainless steel, each tong is designed with less tension to provide greater control and precision while handling the needs of your commercial kitchen. Plus, dual micro-serrations on the handle improve control and stability for precise placement every time. Each tong in this set is designed with serrated tips for better grip on your gourmet food. Providing the greatest versatility, the straight plating tong can be used in a variety of applications. The curved tip tong bends at a 40 degree angle for easy placement even at different angles. For your most delicious delicacies, use the offset tong or fine point curved tip tong for precise placement of delicate, small ingredients. Mercer Culinary - Hell's Tools Set 3 pieces These tools are constructed of glass-reinforced nylon specially formulated for use in high-temperature applications (heat resistant up to 430 ° F / 220 ° C). These tools have an incredible durability and are resistant to stains and odors. Their innovative construction not only resists high heat, but is much more delicate on food and cooking surfaces than metal tools. The set consists of a utility tongs, a spoon and a fried spatula. Total length measurements: approximately 30 cm. Black colour. Features: Utility tongs have a monoblock construction, bevelled edges for greater control when picking food and is safe for use on non-stick pans. The mixing spoon has a monobloc construction, it does not damage the non-stick surfaces of the cookware. The grooved spatula has a monoblock construction, a bevelled edge and is safe for use on non-stick pans. Triangle - Barbecue Tweezers 30 cm Whether for the kitchen or the grill - the triangle® barbecue tweezers is the perfect kitchen helper. The front part of the triangle® barbecue tweezers is ridged so that the food does not slip; the tweezers is made from stainless, high quality steel.Triangle tweezers in 30cm and 35 cm have protective silicone tips to keep your non-stick-cookware in perfect condition. The triangle® barbecue tweezers helps turning over fine, thin meat. But the triangle® barbecue tweezers can also be used for vegetable slices. Triangle - Barbecue Tweezers 35 cm Whether for the kitchen or the grill - the triangle® barbecue tweezers is the perfect kitchen helper. The front part of the triangle® barbecue tweezers is ridged so that the food does not slip; the tweezers is made from stainless, high quality steel.Triangle tweezers in 30cm and 35 cm have protective silicone tips to keep your non-stick-cookware in perfect condition. The triangle® barbecue tweezers helps turning over fine, thin meat. But the triangle® barbecue tweezers can also be used for vegetable slices. Artis - The Astacus seafood crackers The Astacus and Homarus seafood crackers are refined designer items, easy to handle, hard wearing and a pleasure to use. They are made with fine materials and precision tooling. The levers for instance are in a special aluminium alloy developed for aeronautics, which is then hand brushed and polished. To ensure long-term colour and shine the surface undergoes an anodic oxy-coloration treatment. Thanks to its robust construction and solidity, it's especially good for easily cracking seafood claws. Order to enable the surface to maintain color and gloss in time a treatment is performed oxy anode. Thanks to their robustness and solidity are particularly effective for easily crush the claws of shellfish. Decora - Hat pin for Sweets - pastry Ideal to cool upside down panettone, Doves, angel food cakes and all those that need to be cooled upside down. Stainless steel. Dim. 50 cm. Lo strumento all - in - one di degustazione per l'appassionato chef. Design intelligente include un misurino per liquidi, pinze e forcella per afferrare il cibo e un gancio per catturare gli spaghetti. Tweezers for fishbones in stainless steel. Perfect for take off, with ease and precision, the bones. Solleva e trasferisce fogli di carta da decorazione, pasta di zucchero, fondente e decorazioni. Con queste pinzette è facile incollare!La pinzetta ha due appoggi dove poter muovere liberamente il soggetto da applicare senza lasciare impronte. Di facile presa di design rende questi pinzette comodo da usare e da maneggiare.